“I have moments, in these days of national gloom, financial depression, ‘hard times’, when I feel it my duty to be sad, or at least cynical—but cannot be—not in spring.” –David Grayson, 1936, from The Countryman’s Year. Oak Trunks, Maples, Fall Snow On Ardis Hyde’s “Ornamentals” Garden, Northern Sierra, California, copyright 2012 by David Leland Hyde. Nikon D90. Featured in the upcoming David Leland Hyde Sierra Portfolio. Helen and Scott Nearing, authors of Living the Good Life: How to Live Sanely and Simply in a Troubled World , provided much of the basis for how Ardis and Philip Hyde lived at home. In the blog post, “Living the Good Life 1,” guest blogger Nancy Presser and I introduced Helen and Scott Nearing and looked at how they led the back to the land movement of the 1950s. We also looked at how my parents, Ardis and Philip Hyde, while not on the road or on the trail of a photography project, in their own quiet way adapted and invented their own version of “The Good Life.” In the blog post, “Living The Good Life 2,” we reviewed Ardis and Philip Hyde’s upbringing and how this brought them eventually to the country and to their own land. In the following third episode, I write about the seasons on that land and unravel how my parents ensured they would have freedom in life. Besides what she once called “our Bible,” Helen and Scott Nearing’s Living the Good Life: How to Live Sanely and Simply in a Troubled World, Ardis Hyde had many other books on gardening, living on the land and country living philosophy on her bookshelves. One of them of particular inspirational content was The Countryman’s Year by David Grayson. Many years ago I came to the hillside in the town of Amherst where I now live. I bought a few acres of land and built a house. I planted trees and cultivated my garden. I kept bees. I made good friends among my neighbors. Here I have known the best, I think, that comes to any man—times of sight that is also insight. My mother Ardis reveled in the change of seasons. I learned from her and my father to joyfully anticipate the subtle indicators of change in nature. My mother kept a written log of our family experiences and events, which could easily also be organized around the four seasons. When living close to the land, the seasons are telltale mile markers to keep you awake and aware of your progress or lack thereof, and to remind you that your progress or lack thereof is only fleeting, eventually immaterial in the big scheme of all life. Your own work and life are kept in perspective and relevance to the life around you by the disappearing and returning of life with the time of year. This year, 2012 into 2013, summer lingered long with Indian summer blue skies and white, puffy unicorn-rainbow-dreamy clouds flitting and skidding merrily around the heavens. Autumn or fall, as we always called it, took a long time to arrive and segued out of summer without much effort. It was hard to distinguish summer from fall and they both carried on much longer than usual. Some tree leaves such as those from the Maples and Aspens turned yellow, orange and red on schedule, while the Black Oaks were late and the Alders, Willows and Cottonwoods hardly changed yellow or orange, but way behind schedule mainly went straight to brown. Finally in November, fall acquired a little of its usual bite and the leaves, having taken a long time to shed their green for brighter colors on many species of trees, suddenly began to blow free in the gusts of wind and drift to the ground. 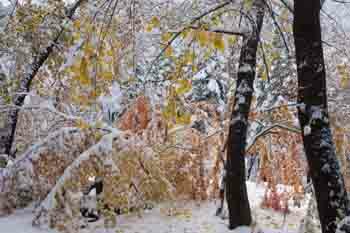 Just as the leaves started to fall, while the fall color show was still in full swing, suddenly winter blasted in from the Arctic and the Gulf of Alaska with over a foot of snow. We had been swimming in Indian Creek two weeks before the snow began to fly. I had been feverishly photographing the fall color because I had almost completely missed fall in 2011. As a result, my portfolio was a bit thin on fall color photographs. I made up for it fall of 2012. I had been photographing four to five hours a day for months. The arrival of snow brought, I thought, an anticipated break. However, I discovered that snow over the top of fall colors offered a whole new range of possibilities that screamed to be photographed thoroughly. 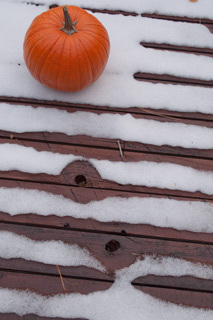 I set to work on this, but found that snow while adding great glory to the cloak of fall, also stripped the cloak away and hastened the march into the barren days of dead winter. Last year and the year before, winter seemed to drag on forever, but this year though it hit hard early and stung deep with unusual cold and ice, it seems now to be flying right by. After all, we are just a few weeks away from the first flowers, the snowdrops, which are regularly scheduled to appear within the first week of March. In the early 1960s my mother wrote that the snowdrops were appearing in early April, but for the last 10 years I have observed them arriving in early March. In The Countryman’s Year, David Grayson began his narrative “with the first shy touches of spring” on April 1, when the land is locked in “Endless winter, raw and cold.” New England loosens its grip on winter less easily than the Northern Sierra of California. For my mother February meant fertilizing. March began preparation for the planting of vegetable starts. This year in February we were doing fall’s leaf raking because fall offered no time to rake the fallen leaves before the snow buried them. The first original snow stayed on the ground for three months until mid February because it froze in place and turned to pure ice while more snow piled on top. People brought up on a money economy are taught to believe in the importance of getting and keeping money. Time and again folk told us, “You can’t afford to make syrup. You won’t make any money that way.” One year a neighbor, Harold Field, kept a careful record of the labor he put in during the syrup season and of the sale price of his product, and figured that he got only 67 cents an hour for his time. In view of these figures, the next year he did not tap out because sugaring paid less than wage labor. But, during that syrup season he found no chance to work for wages, so he didn’t even make the 67 cents an hour. Our attitude was quite different. We kept careful cost figures, but we never used them to determine whether we should or should not make syrup. We tapped our trees as each tap season came along. Our figures showed us what the syrup had cost. When the season was over and the syrup on hand, we wrote to various correspondents in California or Florida, told them what our syrup had cost, and exchanged our product for equal value of their citrus, walnuts, olive oil or raisins. As a result of these transactions, we laid in a supply of items at no cash outlay, which we could not ourselves produce. Our livelihood base was broadened as the result of our efforts in the sugar bush and the sap house. The Great Depression had brought millions of bread-winners face to face with the perils which lurked for those who, in a commodity economy based on wage-paid labor, purchase their livelihood in the open market. The wage and salary workers did not own their own jobs, nor did they have any part in deciding economic policy, nor in selecting those who carried policy into effect. The many unemployed in 1932 did not lose their jobs through any fault of their own, yet they found themselves workless, in an economy based on cash payment for the necessities, necessaries and decencies. Though their incomes had ceased, their outgo for food, shelter and clothing ate up their accumulated savings and threw them into debt. Since we were proposing to go on living in this profit-price economy, we had to accept its dread implications or find a workable alternative. We saw this alternative in a semi-subsistence livelihood. Ideas of “making money” or “getting rich” have given people a perverted view of economic principles. The object of economic effort is not money, but livelihood. Money cannot feed, clothe or shelter. Money is a medium of exchange, a means of securing the items that make up livelihood. Employing this outlook toward making money did not bring Philip Hyde fame in the traditional sense. 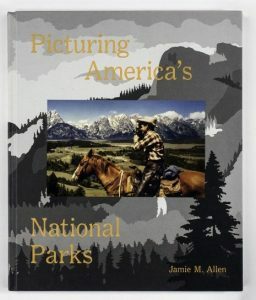 He became known for defending wilderness, but he spent more of his time working on conservation campaigns than approaching photography galleries or arranging large exhibitions with major museums, unless they came to him. He and my mother lived life on their own terms, beholden to no one. They were not slaves to tight schedules for workshops, speaking engagements, touring exhibitions and book signings. A few of these events went a long way. Mom and Dad were then free to sit out on their deck and observe the birds arriving in the spring, or to enjoy the dropping of the air temperatures in the evening that signals the approach of fall. What Is Freedom? Who Is Free? After you have exhausted what there is in business, politics, conviviality, love, and so on—have found that none of these finally satisfy, or permanently wear—what remains? Nature remains: to bring out from their torpid recesses the affinities of a man or woman with the open air—the sun by day and the stars of heaven by night. 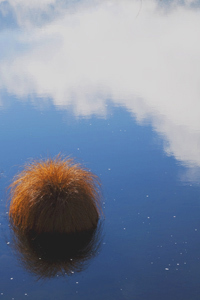 Does nature help you remember who you are? How do you celebrate or observe the change of seasons? Earth Day 2012 Review: Are Social Media Earth Friendly? BUT, Is That Earth Friendly? Would activism, volunteering or something else be more Earth friendly? You can now enjoy following Philip Hyde Photo on Twitter. Beyond the tweets I twittered, our Earth Day included a hike along Indian Creek, or “The River,” as locals call it because it is the largest part of the Feather River. My friend Nancy’s daughter of seven and her friend, the daughter of a neighbor, made water channels and pools in the same beach sand the neighbor and I dug in when we were the two girl’s age almost 40 years ago. We hiked the rugged, rocky river shore back to the house where the girls did handstands and cartwheels on the lawn while I Twittered about our activities. Then we planted herb starts: Sweet Basil, Marjoram, Parsley, Caraway, Mint and Chamomile. Meanwhile, in the last few days, Daffodils, Lupines and a few other early bloomers had blanketed the garden. We cut Daffodils and Lupines for bouquets the girls took home. There’s nothing like the smell of Lupines or Daffodils in the early Spring. Earth Day. Friend Nancy is coming over w/her 2 kids. We will dust off the Solar Oven for kids to see in action baking a cake. Hiking, outdoors, maybe photos, probably just enjoy Earth Day. Enjoy the Earth. Do you enjoy the outdoors? Love is. Assoc of Ansel Adams was color pioneer Philip Hyde. 1st Tweet. Do you think Photoshop killed straight photography? Love is now. Ansel Adams’ assoc color pioneer Philip Hyde. Gandhi: would he say peaceful environmental revolution? Love One Another. Pioneer landscape photog Philip Hyde. Is a Photoshopped image “real”? Are you on Twitter? Why or why not? 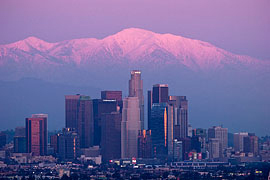 Los Angeles Skyline, Winter, Twilight on Mt. Baldy, 2010, by Richard Wong. Photographers have all heard many pros and cons and I am in the resistant crowd, but am reading up. You will eventually see Philip Hyde Photography and Landscape Photography Blogger on Twitter, Facebook and the other major social media. Hopefully Dad will not be rolling over and will understand it is a new era. I have seen some blog posts and comments around about Apple’s much-hyped new iPad tablet that came out today. The iPad is somewhere between an iPhone and a laptop. I respect and admire Steven Jobs for being highly innovative and leading his company to explosive sales and growth off the charts while everyone else is grumbling about the recession. Besides, to me he is like Luke Skywalker fighting against the evil Windows Empire. The iPad is probably a good device for people who use an iphone a lot. In The Magic of Thinking Big , David Schwartz said that in history whenever there has been a major technology change, it is those who embrace it that become the “haves” and those who do not that become the “have nots.” I have been doing what I can to implement and learn all of the new media and technology of the internet online world. However, I doubt that sitting in front of computers and other screens most of the day and poking away at small hand-held gadgets every extra moment will improve the quality of my life. What about family, friends, and yes, listening to the birds or the river, and actually having some quiet time to think and clear the mind? Will we become a society of all-brain and no intuition or awareness, knee-jerk, one-liner spewing know-it-all’s? Has anyone done any studies of the health consequences of staring at various screens all day and letting our limbs atrophy? Besides, the more I learn about the internet, the more I notice a tendency toward a disconnect with the real people I know in my life that are not so into it. 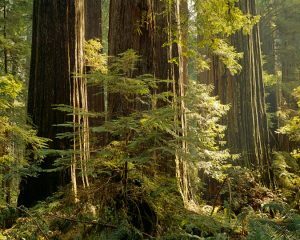 In 1951, my father, pioneer landscape photographer Philip Hyde, left San Francisco to live in the mountains so that he could get “their glad tidings.” He made a large monetary sacrifice but his life became much richer in all the ways that matter. I suppose everyone needs to determine for him or herself what her limits will be, when ‘enough’ has arrived.